Following the golden age of British Gothic in the late eighteenth century, the American Gothic’s pinnacle is often recognized as having taken place during the decades of American Romanticism. 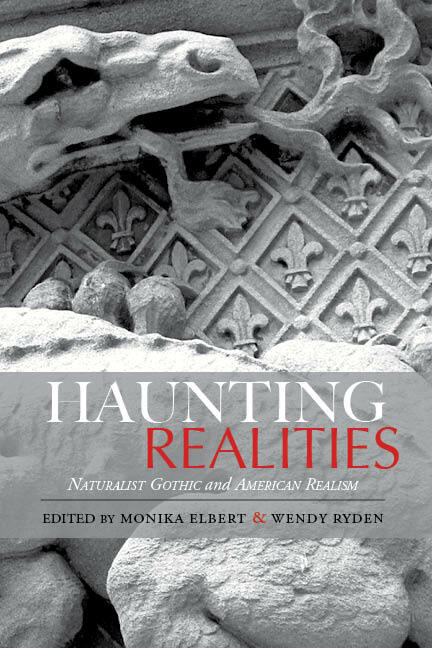 However, Haunting Realities explores the period of American Realism–the end of the nineteenth century–to discover evidence of fertile ground for another age of Gothic proliferation. The University of Alabama Press is a proud member of the Association of American University Presses. The Press currently publishes 70 to 75 new titles a year and has over 1,800 titles in print. It is a founding member of the University Press Content Consortium and is at the cutting edge of digital publishing. The Press is the publishing arm of the University of Alabama.